K2 Recruitment Pass REC Compliance Test With Flying Colours! It’s always reassuring to know that all your recruitment needs are being handled professionally. So K2 Recruitment having passed the REC’s compulsory Compliance Test yesterday with flying colours shows not only that our team of consultants fully understand the requirements in terms of compliance, but also reassures our clients and candidates that we take this responsibility seriously and we adhere to these policies and procedures daily. The test was made up of a series of questions that cover key legislation within the recruitment world, in particular the Conduct of Employment Agencies and Employment Businesses Regulations 2003 (the Conduct Regulations) and the REC Code of Professional Practice. The Recruitment and Employment Confederation (REC) is our governing body, and all members must abide by a Code of Professional Practice. 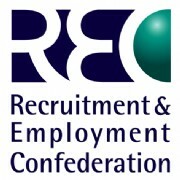 Above all, the REC is committed to raising standards and highlighting excellence throughout the recruitment industry. By passing the test, the REC can determine whether existing REC members can renew and retain their membership. We are proud to have been a member of the REC since January 2001 and remain as committed as they are in supplying honest and ethical recruitment services to everyone we have the pleasure in dealing with.